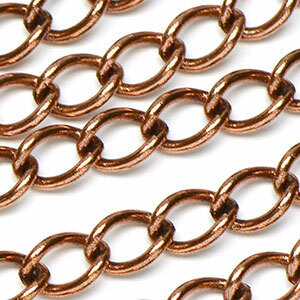 Curb style chain made with round heavier gauge wire and is suitable for charm bracelets and multi layering. Weightier feel without the bulk and can also stand alone. Available in all our excellent plated finishes. 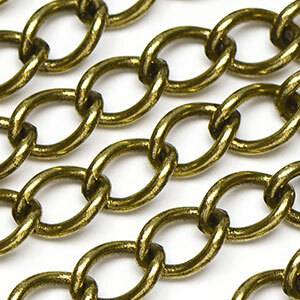 A great-looking, classic style of chain! 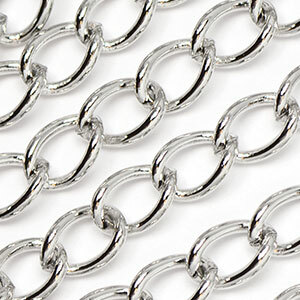 Links are round wire approx. 18 gauge diameter. 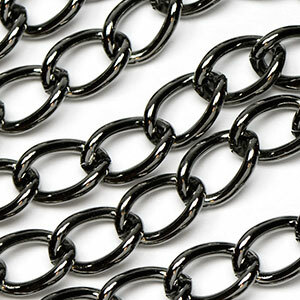 We ship longest sections possible with as few splices as possible; however, we can not guarantee one long continuous length and splices are a factor of chain manufacturing.